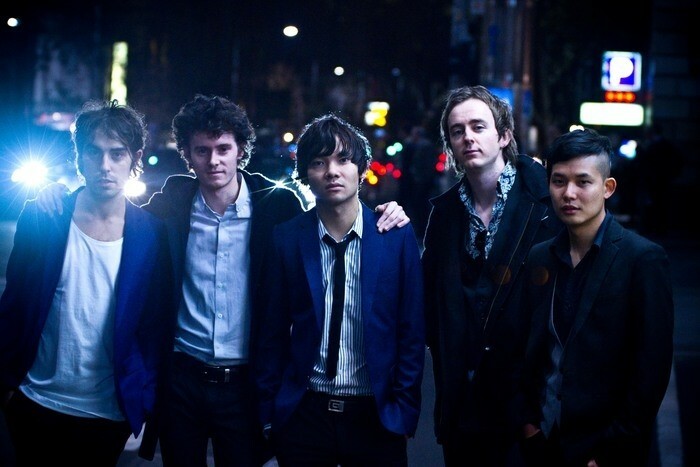 Little Red were a rock band from Melbourne, Australia consisting of Adrian Beltrame (guitar, vocals), Dominic Byrne (guitar, vocals), Tom Hartney (keyboard, vocals), Quang Dinh (bass, vocals), and Taka Honda (drums). The band was formed in 2005 and were featured on Triple J Unearthed. The band won the 2008 Australia-wide 'Garage to V' competition held by Virgin Mobile to win a slot at all shows of the Australian V Festival in 2008, while the band has also performed at the Falls Festival, Meredith Music Festival, the Big Day Out, the Pyramid Rock Festival and the Laneway Festival.